Befuddled, disconcerted and downright terrified…there is a downpour of emotions in my mind, all due to a particular situation that I have found myself in. I’m at António’s, in the heart of Macau’s Taipa village, caught in an awkward moment. On one side is the zippy chef, António Coelho, at his flaming portable crêpe station with what looks like pounds of butter and tons of alcohol. On the other, his portrait stares at me proudly. I’m grabbed off my seat to be muse to the pure spectacle he is whipping up in the guise of live cooking. As I pour in the Grand Marnier, the pan sizzles dramatically, the soft sound of the Portuguese guitar in the background goes silent, and jaws drop to the floor. The result is a light, dreamy confection, designed to impress. All that’s left to say is that it was a night which was hard to forget! 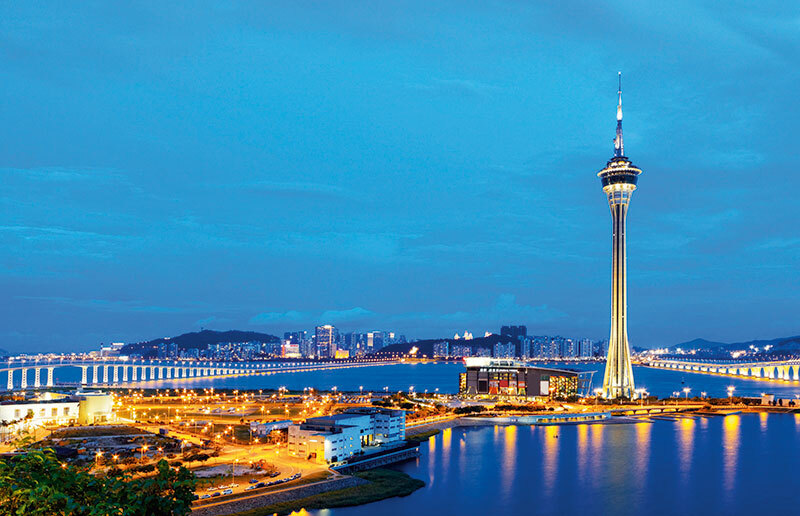 There’s more in Macau than what meets the eye. As I manoeuvre my way through the downtown area, the city overwhelms me. Scores of gleaming casinos, packed in beside each other, orchestrate a cinematic experience for the senses. I make my way through the narrow cobblestone streets, to retreat to my conveniently located hotel, Sofitel Macau at Ponte 18, and find myself savouring the distinctive taste of authentic Portuguese wine against the backdrop of the city’s sparkling skyline. I’m bemused to discover that the destination I thought to be the ‘sin city of the east’ has a rich cultural and historic heritage…one which it has been waiting to reveal. I am entranced by the city’s various museums, which take me back 400 years, to a time when Portuguese sailors set off to explore the coast of Africa and Asia. The early settlement by the Portuguese, in the 1500s, built the foundation of cultural traditions in the city. After a 430-year rule, the Portuguese handed over Macau to China in 1999 who declared it as a Special Administrative Region. 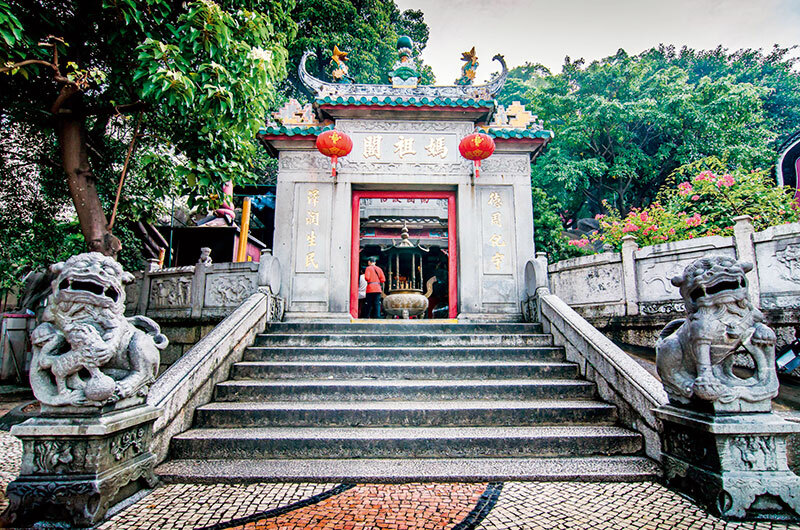 The country’s tea culture, the life and ways of an ordinary Macanese, the city’s traditional wines and the Historic Centre of Macau piqued my interest, while the A-Ma Temple, Augustinian churches and the Casa Garden were nothing less than a sensory playground. Away from the clattering of coins in the downtown district and the much-touted Cotai Strip, I continue my quest for Macau’s hidden gems…and at the island of Coloane, I hit the jackpot. Sun-kissed beaches, deserted coves, rugged cliffs, densely-forested hills — the area has everything you need on a bright summer’s day. In the heart of the sleepy Coloane village lies the most-visited Lord Stow’s Bakery. Their egg tart comes highly recommended and certainly lives up to the hype. One bite into the buttery crust and its dense cream-filled centre will instantaneously send you to the depths of heaven. I discover the best part of the country is undoubtedly its unique cuisine. Macanese cuisine blends Portuguese and Chinese styles, topped with a dollop of Indian and Malay. The influx of rich flavours means that the culinary treasures have also undergone transition over time. The dishes have evolved through the centuries, adapting to the traditional techniques of the Portuguese and Chinese. Although authentic Macanese restaurants don’t dominate the city, their dishes do rule the heart. At Cafe Litoral, I started off with pastéis de bacalhau (codfish cakes), delectably fried to perfection, paired with the Portuguese beer, Super Bock. 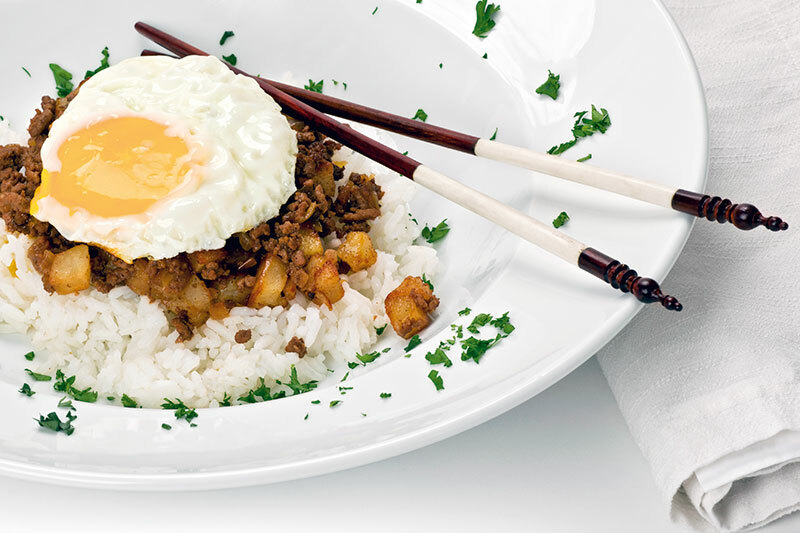 The Macanese fried rice adds a twist to the Indianised version and is infused with prawn, bacon bits and egg. And, oh! The garlic prawns will leave your senses in a tizzy, splattered with heaps of garlic butter, stir-fried into a devilish concoction. But, if there’s one dish that makes me come back for more, it is the African chicken, which is a whole chicken, cooked with a non-spicy version of piri-piri, served with sides of gratinéed potatoes and salad. And what is Macau’s best-kept secret? My guide Alorino fools me into thinking that it is the magical sawdust in the street, but serradura (meaning sawdust) is a dessert — or rather an easy-to-make, bite of divinity that will delight your taste buds. Think, layers of fluffy and creamy vanilla custard topped with a thickly-crushed biscuit base. You won’t regret the extra pounds after devouring this. 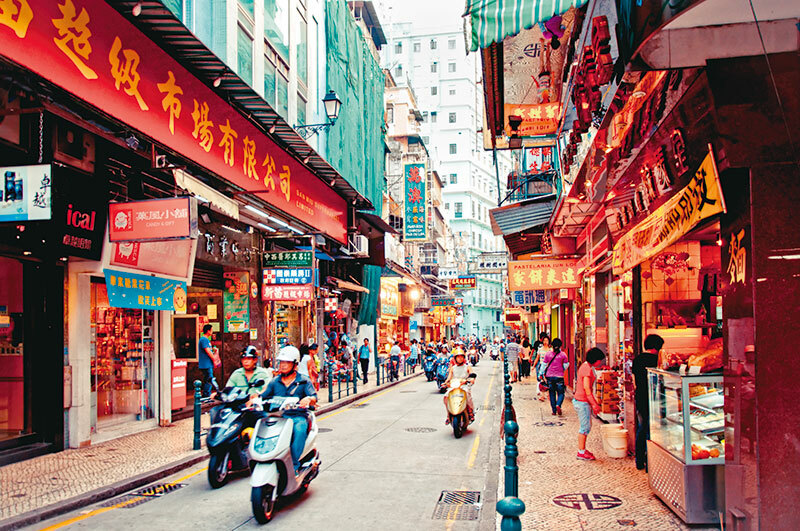 Macau is one of those places which is hard to pinpoint on a map, but when you discover its wondrous traditions, its nooks and corners, its bright lights and beautiful food, there’s something about it that stays with you, even when you’ve left.